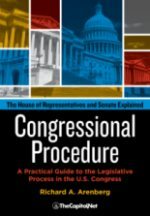 The Congressional Review Act (CRA) is an oversight tool that Congress may use to overturn a rule issued by a federal agency, in some cases, rules issued in a previous session of Congress and by a previous President. 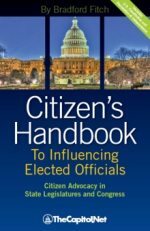 The CRA requires agencies to report on their rulemaking activities to Congress and provides Congress with a special set of procedures under which to consider legislation to overturn those rules. The CRA, which was enacted in 1996, was largely intended to assert control over agency rulemaking by establishing a special set of expedited or “fast track” legislative procedures for this purpose, primarily in the Senate. The CRA was included as part of the Small Business Regulatory Enforcement Fairness Act (SBREFA), which was signed into law on March 29, 1996 (Title II, Subtitle E, P.L. 104-121, 5 U.S.C. §§ 601 et seq.). The CRA requires agencies to report on their rulemaking activities to Congress and provides Congress with a special set of procedures under which to consider legislation to overturn those rules. 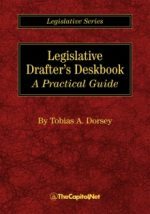 Under the CRA, before a rule can take effect, an agency must submit a report to each house of Congress and the Comptroller General containing a copy of the rule; a concise general statement relating to the rule, including whether it is a major rule; and the proposed effective date of the rule. 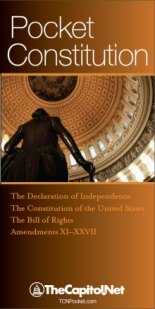 Upon receipt of the report in Congress, Members of Congress have specified time periods in which to submit and take action on a joint resolution of disapproval. If both houses pass the resolution, it is sent to the President for signature or veto. If the President were to veto the resolution, Congress could vote to override the veto. If a joint resolution of disapproval is submitted within the CRA-specified deadline, passed by Congress, and signed by the President, the CRA states that the “rule shall not take effect (or continue).” That is, the rule would be deemed not to have had any effect at any time. Even provisions that had become effective would be retroactively negated. Furthermore, if a joint resolution of disapproval were enacted, the CRA provides that a rule may not be issued in “substantially the same form” as the disapproved rule unless it is specifically authorized by a subsequent law. The CRA does not define what would constitute a rule that is “substantially the same” as a nullified rule. The CRA can be used to overturn both major and non-major rules. 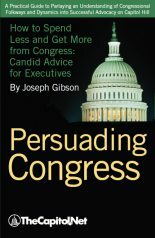 Major rules are of the greatest economic effect and therefore may be of the most interest to Congress. 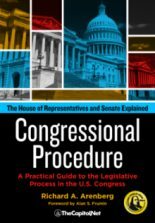 See Congressional Procedure, Ch. 7.M. Congressional Review Act.